In Created to Thrive, you’ll begin seeing your life without limits as you learn to align with Him and cooperate with the Holy Spirit to create new patterns of living. In this best-selling book, Matt shares practical insights for artists on how to overcome roadblocks and fulfill their creative calling as artists in the Kingdom. A must-read for all creatives. 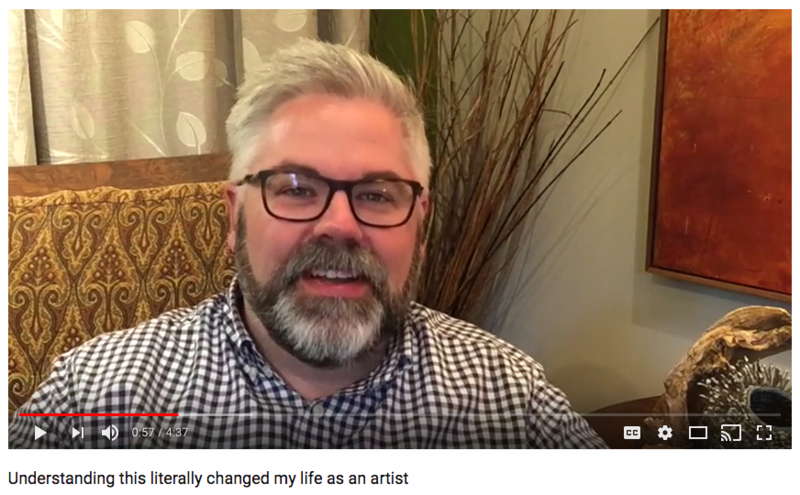 Matt shares valuable insights and practical step-by-step advice from his own journey as an artist and marketer for artists who want to not only create great work, but a great living. Creativity is the very fabric of the Kingdom of God. In this book, Matt uncovers how cooperating with our creative God in His creative Kingdom can release transformation. "Unlocking The Heart Of The Artist" continues to be one of my favorite personal development books for artists. Matt's presentation style is honest, authentic and transparent...and because he is successfully thriving as an artist (and writer and speaker too) after traveling his own journey of "unlocking", I have more confidence in being able to get there myself. As a Christian, I also really value Matt Tommey's perspective on combining faith, art. life." Pam L.
Check out some of my free videos on my YouTube Channel.